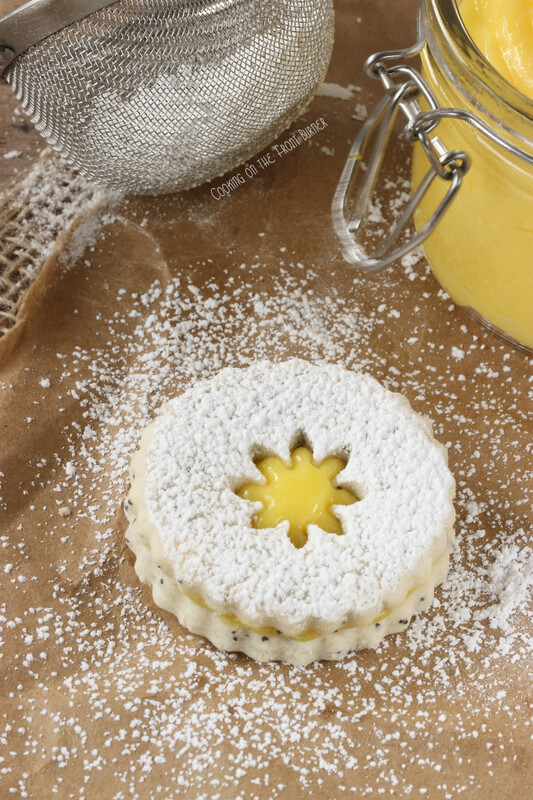 Made with delicate poppy seed shortbread, these Linzer Cookies are filled with lemon curd. If you have never tried linzer cookies, you are seriously missing out! These fancy sandwich cookies are a wonderful Springtime treat that are perfect for serving and bridal and baby showers, Mother’s Day and Easter. Hi, I’m Deb from Cooking on the Front Burner and back this month with another new recipe to share with Ang’s readers. These Poppy Seed Lemon Linzer Cookies that I’m sharing were one of the desserts I made for Easter dinner. We always spend Easter at our good friend’s house and I’m asked to bring a sweet treat or two. The ages for the guests start at 8 mos. and go upward to 60 (no, not me!) so I try to come up with something that I think will appeal to everyone. 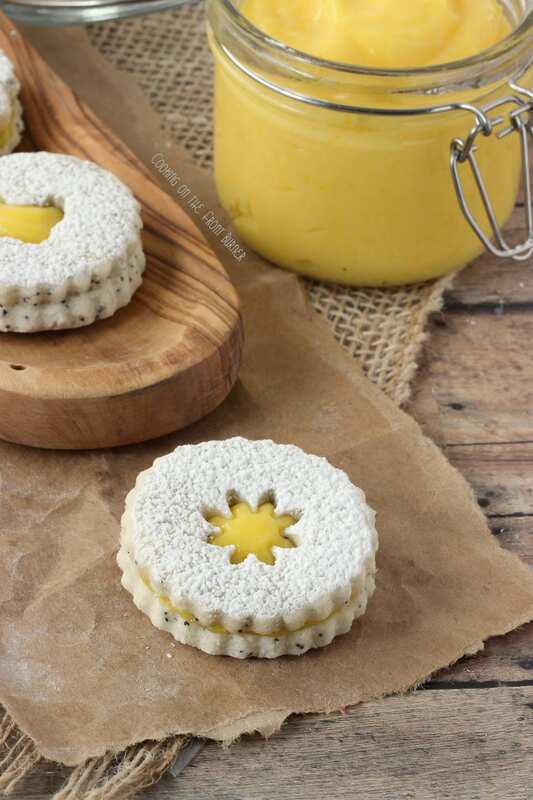 These cookies are a delicate shortbread with a homemade lemon curd and were enjoyed by all the guests. Linzer Cookies are usually made with flour, unsalted butter, eggs and flavorings such as vanilla or almond extract. The cookies are filled with a fruit butter, jam or curd and dusted with confectioner’s sugar. What is Lemon Curd and How Do You Make it? A curd is made by cooking together fruit juice, egg yolks, butter and sugar to make a delicious thick custard-like spread. 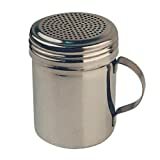 think of it like a sweet condiment that can be used with all kinds of baked goods like muffins, scones, and cookies. Lemon curd has a very intense lemon flavor from the juice and zest of fresh lemons. You’re going to love this linzer cookie recipe! Mix the butter, sugar, confectioners sugar, and vanilla on medium speed until light and fluffy. Reduce to low speed and slowly add the flour and salt. When mixed, add the poppy seeds and continue mixing for 1 minute. Remove the dough and divide it in two. Place one half between two sheets of parchment paper and roll until 1/4" thick. Using a cookie cutter to cut out the bottoms (removing unused dough, re-rolling and continue to make more bottoms until first half of dough is used up). Place all bottoms on parchment paper on a cookie sheet and freeze for an hour. Do the same thing with the other half of the dough and use a small shape cookie cutter to cut out centers. Place about 1 teaspoon lemon curd on bottom cookie and then place top on and slightly press together. Use a double boiler and bring water to simmer in pan making sure it won't touch the bottom of the top part. Add in the top part all the ingredients minus the butter. Set it over the simmering water and whisk the mixture constantly until it reaches 170 degrees, remove from stove and add butter and stir until melted. Strain the mixture through a fine-mesh sieve into a bowl. Place this bowl inside another bowl that is filled with ice water. For the cookies, I found a cookie cutter kit that was especially designed for making Linzer cookies, like the one pictured above from Amazon. But you could use a any type of cookie cutter and get small ones for the center. These could be adapted for any holiday – small hearts for Valentine’s day, etc. Lemon curd and lemon pie filling are similar but lemon curd has a more intense flavor. The texture is different also between lemon curd is thickened with egg yolks and the natural pectin from the lemon juice and zest. 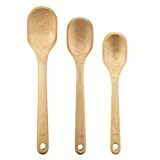 Pie filling is thickened with cornstarch or flour usually. Lemon curd is the best! These cookies are absolutely adorable!! I’ve been wanting to make linzer cookies for awhile – thanks so much for the great recipe! Linzer cookies are so good but I’ haven’t tried them with lemon before – great idea! Awesome looking (and sounding) cookies, Deb!! Pinned! Thanks for stopping by Lyuba – appreciate the pin! 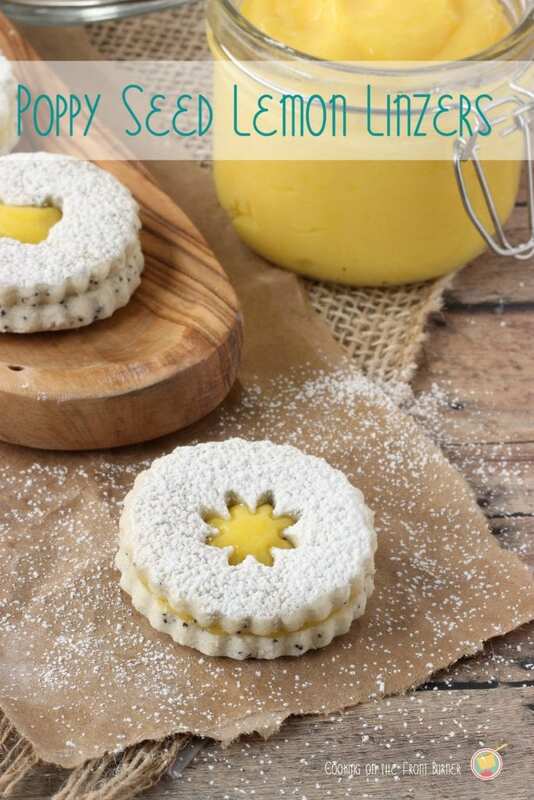 I’m obsessed with anything lemon and these linzer cookies are so pretty! Love the creamy lemon curd filling! Thanks Kelly! Appreciate the pin and hope you are doing well! Thanks so much Winnie and for the pin! Deb, I’m going to have to grab this kind of cookie cutter! I’m truly obsessed with how pretty these are… and with lemon! Deb these are amazing! I am so in love with Linzer cookies and even have a Raspberry Linzer Tart I make every year. I HAVE to make these – your photos are just gorgeous as always!! Pinned!! Thanks for having Deb over again, Ang! You know how much I love lemon!! These cookies look amazing. Yum! These look great! Another recipe with lemon curd.. I need to try it asap! You did a beautiful job with these, Deb…. they’re gorgeous! I’m wondering if these can be frozen? I love anything lemon and these look so beautiful. Yes, wrap them in plastic wrap and then put them into a freezer bag and carefully remove all the air. Wow! These look yummy! I’d like to invite you to share your post at my linky party! These look fabulous!!! Linzer cookies are my all-time favorite cookies, in fact, I baked some this weekend and still have some left in the cookie jar right now! I only ever make the traditional jam ones since that’s what my grandma used to make, but these sound delicious!